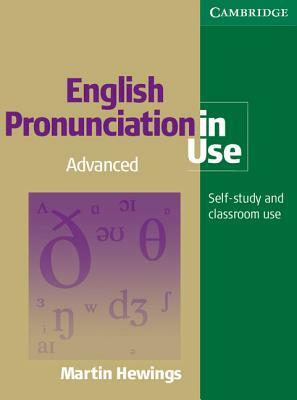 The best-selling English Pronunciation in Use is a comprehensive reference and practice book suitable for self-study or classroom work. Sixty easy-to-use units cover all aspects of pronunciation, including individual sounds, word stress, connected speech and intonation. An additional reference section offers a glossary of specialized terms, help with the pronunciation of numbers and geographical names, and fun exercises on phonemic symbols and minimal pairs. Versions with audio CDs, supporting each unit with audio material in a range of accents. and with a CD-ROM, are available to purchase separately.